We help the students who are seeking admission in Swinburne University (Or any other University in Malaysia), in everything from the application process and visa application and documentation to arranging for their accommodation – and even arrange to pick up the students from the airport and all in FREE of charge. 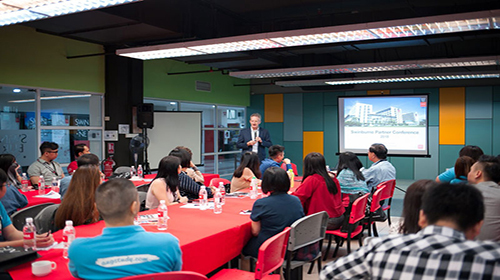 We make the students familiar with the life in Malaysia and in Swinburne University, with the help of our extended services that will make every student feel at home. In simple words, If you are looking to study in Malaysia, we will basically do everything needed that you don’t have to look anywhere else. For details about our services click here. To get started right now or for your inquiries or if you want to study in Swinburne University Malaysia, visit our Online Malaysian Universities Application System (OMUAS) or fill out the Register form from the right side. Someone from our team will get in touch with you at the earliest and will take you through the entire process – clarifying all your doubts and answering all your queries. After registering with us you can log in and upload your required documents and that is the only thing you will have to do in this whole process, we will take care of the rest. Note: They also accept TOEFL & PTE, etc. For further details please contact Study2Malaysia. Each Swinburne program has a minimum English language requirement for admission. In case of disqualification from the above, student needs to take the English Placement Test, and depending on the result of the test, he/she may require to attend additional English courses. Documents required: The list of required documents to get admission in Swinburne University Malaysia and other Malaysian universities, which includes English language institutes can be found by clicking on here. 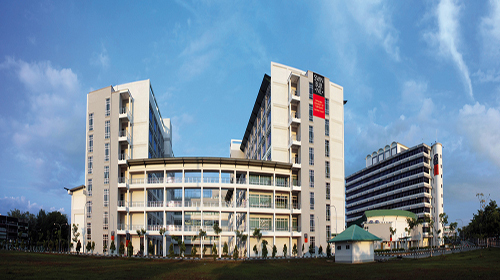 Swinburne’s on-campus accommodation is in their hostel which is located along Jalan Simpang Tiga and can accommodate 478 students. Full-time international students are prioritized when allocating accommodation, should they need one. The on-campus hostel offers a safe and conducive environment with 24-hour vigilance. Hostel fee is to be paid every semester. An additional booking fee of RM500 will be taken which must be deposited along with the Accommodations Booking Form to the University. This shall be adjusted against the hostel rental. 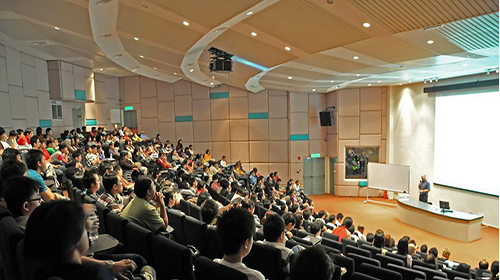 Swinburne University Malaysia offers a wide range of programs for the students to choose from. In the following tables, we have listed their available programs along with the tuition fees. The student will need to submit an application to be considered for any of the scholarships or bursaries offered by the University. 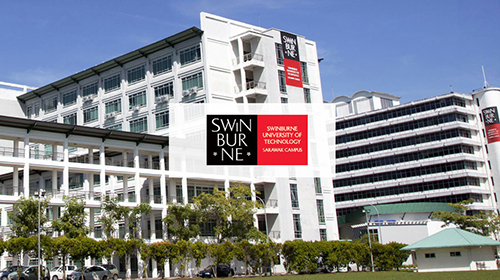 Swinburne University of Technology in Sarawak, Malaysia is the international branch campus of Swinburne University of Technology, Melbourne, Australia. 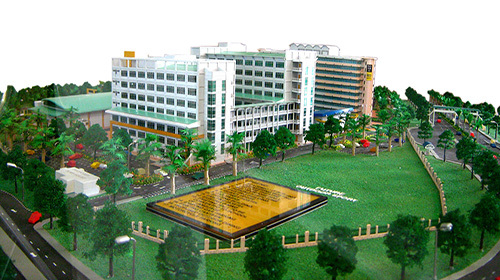 The campus in Malaysia was opened in 2000 and is a partnership between Swinburne Australia and the Sarawak government. The beautiful custom-designed campus has over 4,000 students enrolled in it, which includes a huge percentage of international students from more than 60 countries, making it a truly global university. Their outstanding and prestigious world academic rankings reflect their long-standing commitment to high-quality education and extra-ordinary teaching faculty – which together account for their amazing graduate outcomes. In 2018, Swinburne ranked in the Young University Rankings, at number 65 out of 250 institutions. (The Young University Rankings recognize the world’s top universities under 50 years old). 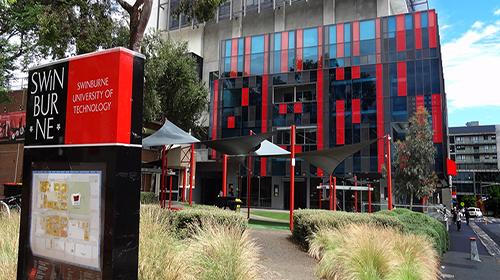 Swinburne also ranked among the world’s top 450 universities according to the 2019 Times Higher Education World University Rankings. The 2019 QS World University Rankings ranked Swinburne in the world’s top 400 universities, putting it in the top 3% of universities globally. Swinburne ranked among the world’s top 400 universities in the esteemed 2018 Academic Ranking of World Universities (ARWU). 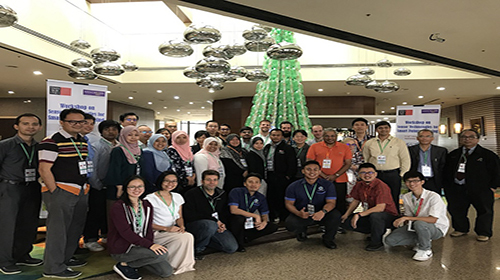 One of the main reasons of students’ interest in the University is their attractive fees, which is a result of the university’s partnership with the Sarawak State Government coupled with a continuous focus on financial sustainability vis-à-vis profitability. 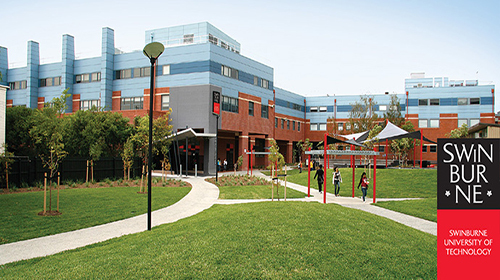 Students at the Malaysian campus also have the option to spend a semester at the Melbourne campus through the International Student Exchange Program or complete their degree at the Melbourne campus through different flexible transfer options after the completion of their Foundation or Degree years, as applicable. Swinburne University has always focused on producing career-ready graduates and graduate employability, which makes it an educational leader in Engineering, Business, Computing, Science, and Design. This is also the reason that the University has become the seat for students with global career aspirations. The university also promises its students that they can help every student reach their desired career goals through the wide range of courses and pathways it offers. Individual attention, manageable classes and a dynamic study experience is at the core of Swinburn’s beliefs.